A training and development fund, created and utilised over the past year for the improvement of skills and knowledge for all employees, amounts to 1% of the total cost of employment, where lower-skilled workers utilise approximately 40% of the fund. An equivalent of 3 457 staff training days were spent attending a wide variety of courses and academic programmes. A number of policies and procedures to support the Training and Development Framework were developed. in which training is defined as the process of developing the knowledge, skills and attitudes (competence) of all our staff to meet the present needs of the organisation. Approximately 408 employees attended training programmes, ranging from Safety,Health, Environment and Quality (SHEQ) training, to computer training, fitting and turning, electrical and driving lessons. to provide employees with financial assistance to improve their knowledge and skills through study at external institutions. Employees' future career development, the organisation's business requirements and the sectoral skills needs are taken into account for employees' study courses. to inform the Adult Basic Education Programme, which provides literacy and numeracy development training courses. This programme utilises the Local Government Water and related Services Sector Education and Training (LGWSETA) Skills Priority Fund. Fifty-one Umgeni Water employees are participating in this programme. five employees are registered for a variety of technical and finance learnerships. to promote and maintain leadership, continuity and expertise in defined key positions. Talent is grown within the organisation through accelerated development interventions. Workshops for all employees were held before the organisational restructuring process was implemented. A total of 680 staff, spent an equivalent of 2 040 staff training days, attending a variety of skills training and development interventions. These included Adult Basic Education and Training, Personal Management Skills Training, the Hay Job Evaluation System Training, Performance Management Training, Recognition-of-Prior Learning Advisor Training, Management Development Program and Learnerships. Umgeni Water's Training Centre was accredited by the Local Government Water and related Services Sector Education and Training (LGWSETA) as a training provider specialising in water and sanitation related skills training. The organisation is now able to provide workplace based training in-house by utilising employees who are subject matter experts. Employee training and development is the framework for helping employees develop their personal and organisational skills, knowledge, and abilities. Human Resource Development includes such opportunities as employee training, employee career development, performance management and development, coaching, succession planning, key employee identification, tuition assistance, and organisation development. Employee training and development is a key factor in meeting the organisation’s strategic, business and operational goals. In the Umgeni Water context training and development contributes to delivering on the organisation’s commitment to individual growth and to our country’s growth. The following are the most important forms of training and development available at Umgeni Water. Training and development in the Umgeni Water context is defined as a total process of developing new, upgrading existing knowledge, skills and attitudes of employees to meet the present performance needs of the organisation. This process includes the following forms of learning and development. All training will take place as a result of identified training needs derived from and related to immediate and long-term strategic organisational objectives. Every staff member has a right of access to training opportunities to fully develop his/her potential to the best advantage of him/her and the organisation. The overall responsibility for training lies with every line official who has one or more employee reporting to him/her. He/she is responsible for the optional and mandatory development and utilization of such employees. The reason for training and developing Umgeni Water employees is to help them acquire new skills and improve on existing skills. The trained and developed staff apply their acquired new and improved existing skills in the execution of their job functions to improve their job performance. The most significant internal Human Resources System that is currently used to assess improved job performance is the Performance Management System. Umgeni Water is committed to skills development with intention to contribute to the National Skills Development Strategy. 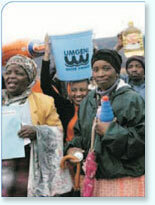 Umgeni Water provides Bursaries to matriculants, first and second year university students. Currently bursary holders are in the fields of Civil Engineering, Chemical Engineering and Finance at various institutions in South Africa. Bursaries are subject to funds availability and are advertised in local newspapers. However students are encouraged to send their applications in writing (application letter, CV and academic record). What is the purpose of Induction and Orientation Programme? The purpose of induction and orientation is to ensure effective integration of staff into or across the organisation for the benefit of both employee and Umgeni Water. Explaining to the new employee the changes that are taking place in the organisation. Corporate Induction and Orientation: this induction is available to and should be attended by all employees. Specific Departmental Induction and Orientation: this induction is tailored to the new employee’s specific department and job. Who should be given induction training? All new staff, both permanent and non-permanent, graduate trainees, in-service trainees, senior and junior appointments should attend Umgeni Water’s Corporate Induction and orientation Programme. Umgeni Water’s Corporate Induction and Orientation Programme is held two times a year, with the first programme being held in April and the second in September of each year. 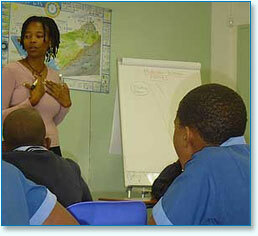 First day: Formal group presentations and Corporate DVD – Umgeni Water Learning Centre of Excellence – Durban Heights. Second day: Umgeni Water Site Visits – Wiggins, Darvill and Midmar. Third day: Social gathering and refreshments. Day 1: Presentations from Various Divisions. Relationship with the rest of the organisation. Three sites have been identified as the most important and big enough water treatment sites in the organisation due to their wide variety of functions and their sizes. These sites are Wiggins WW (including PEF), Darvill WWW and Midmar WW. This is the day when the inductees get to know and mingle with each other as the new members of Umgeni family, various games are played and CE addresses inductees at this gathering.